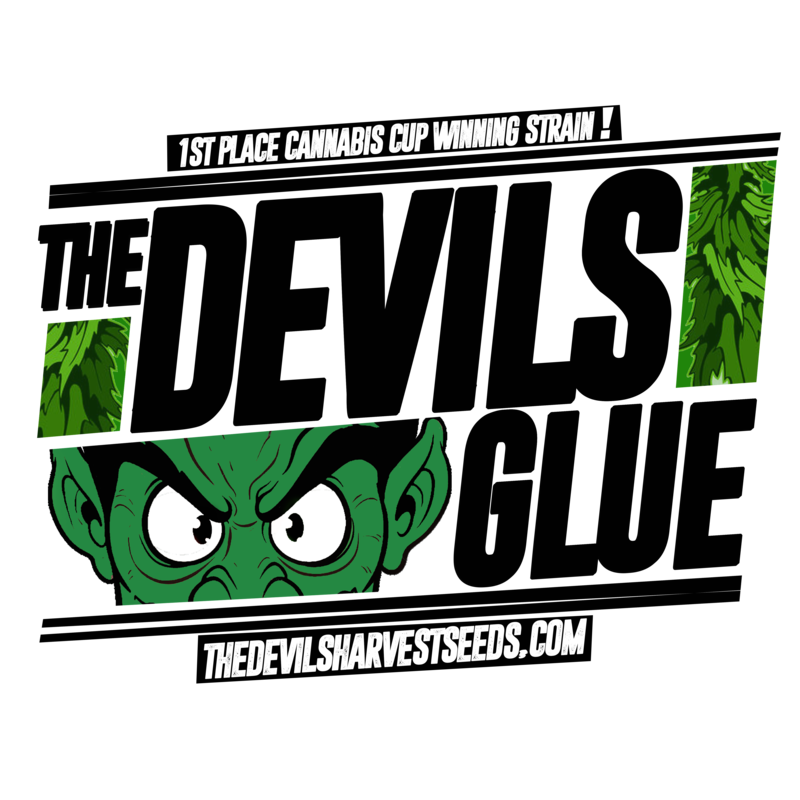 The Devils Glue – Our Newest Cup Winner! Featuring Gorilla Glue #4 crossed with OG Reek’n, Devils Glue is sticky and frosty with that distinctive OG Reek’n blend that will keep your head in the clouds! 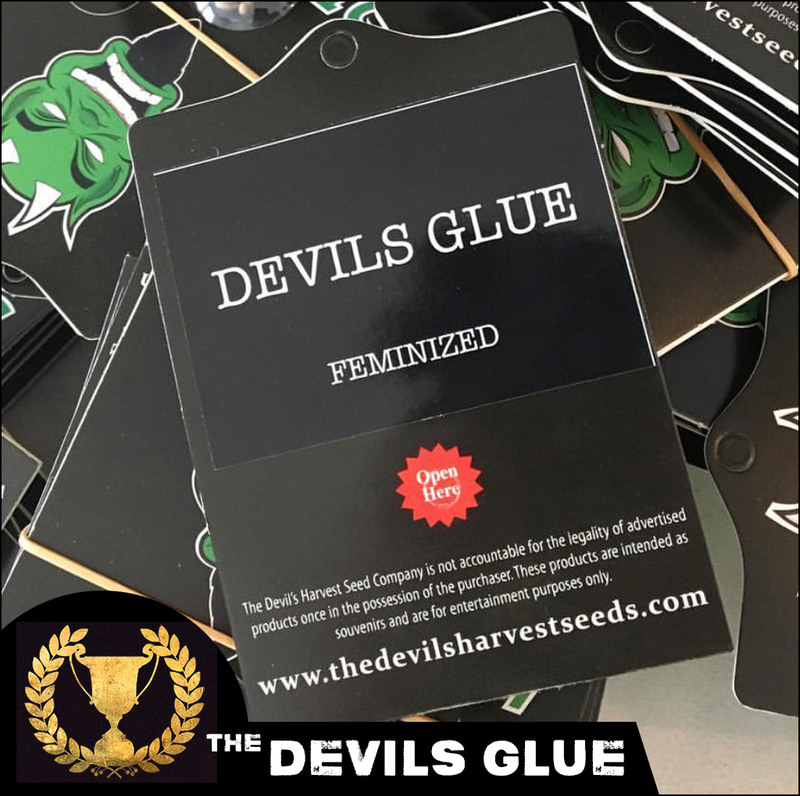 As one of our newest strains added to the Devils Harvest family, this is going to be turning heads with its monster nug formations and extremely tasty aftertaste. 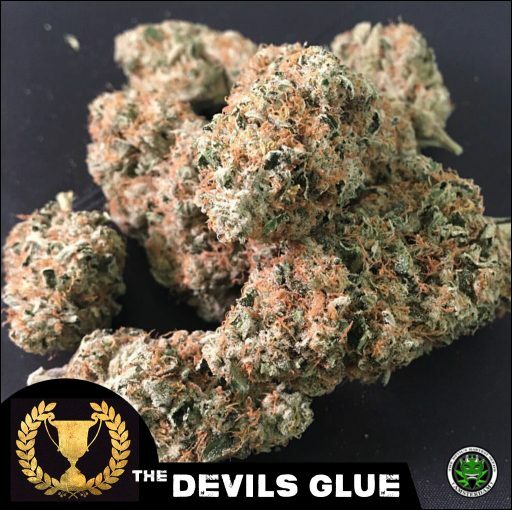 Taking first place at the 2017 High Times Cannabis Cup in Amsterdam, The Devils Glue is one of the newest strains exclusively provided by the Devils Harvest Seeds. 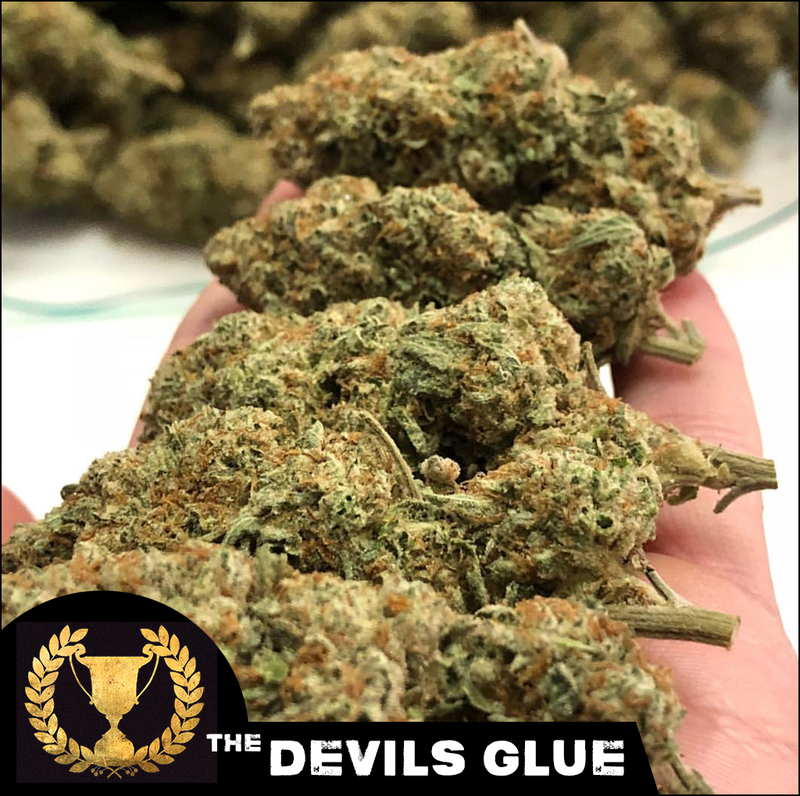 Available in 3, 5 and 10 packet options for purchase, get your order of The Devils Glue before we run out!